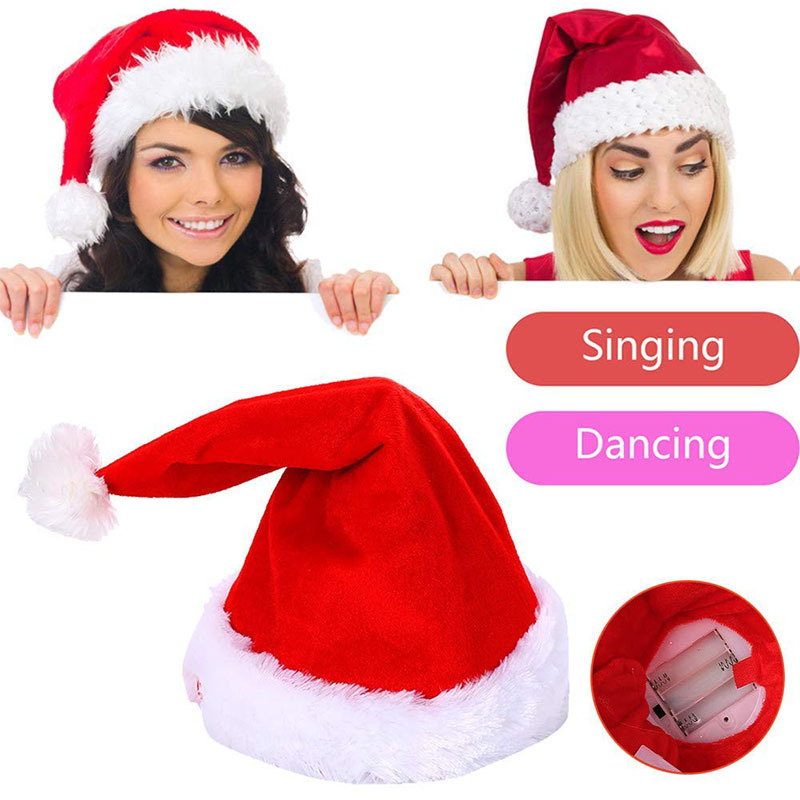 This Super Cute Electric Santa Hat can sing and dance, perfect for Christmas dinner or party, comfortable and beautiful, bring lot of fun to you and your family. 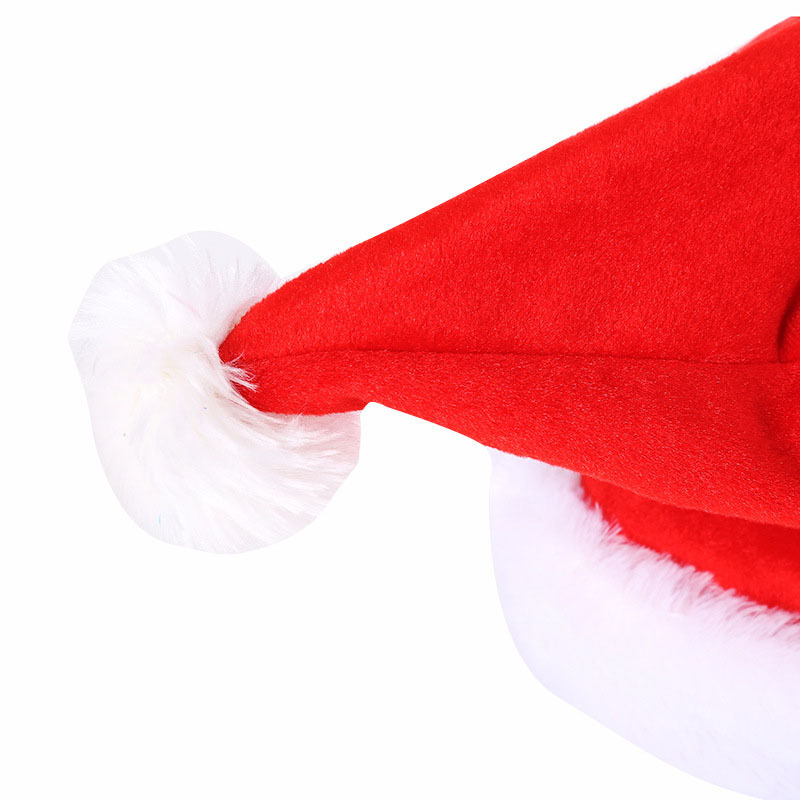 The hat is adjustable to suit most children and adults. 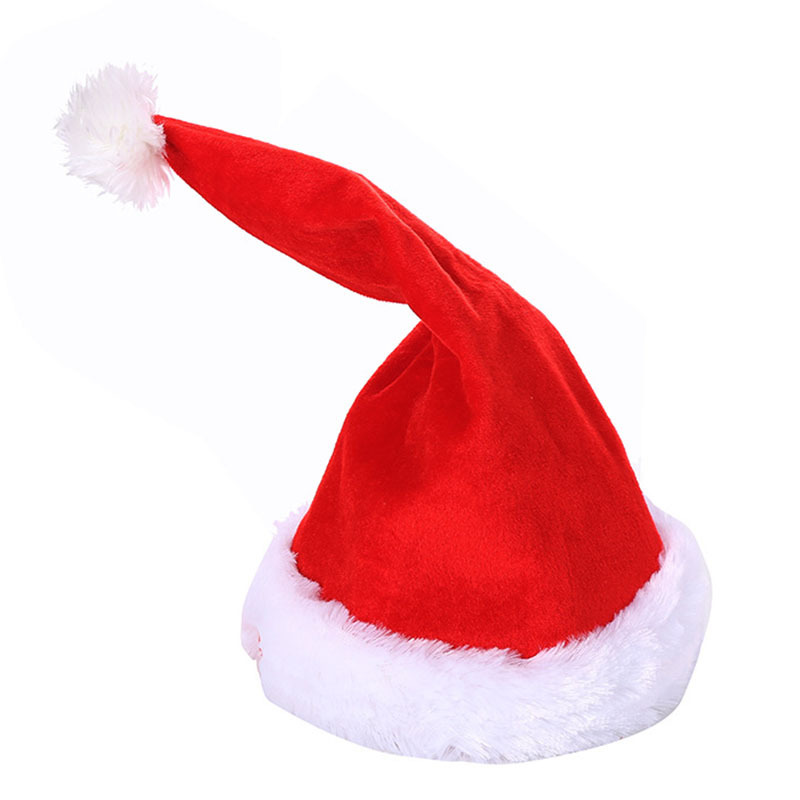 A Christmas hat that can dance, let you be the focus of the crowd. 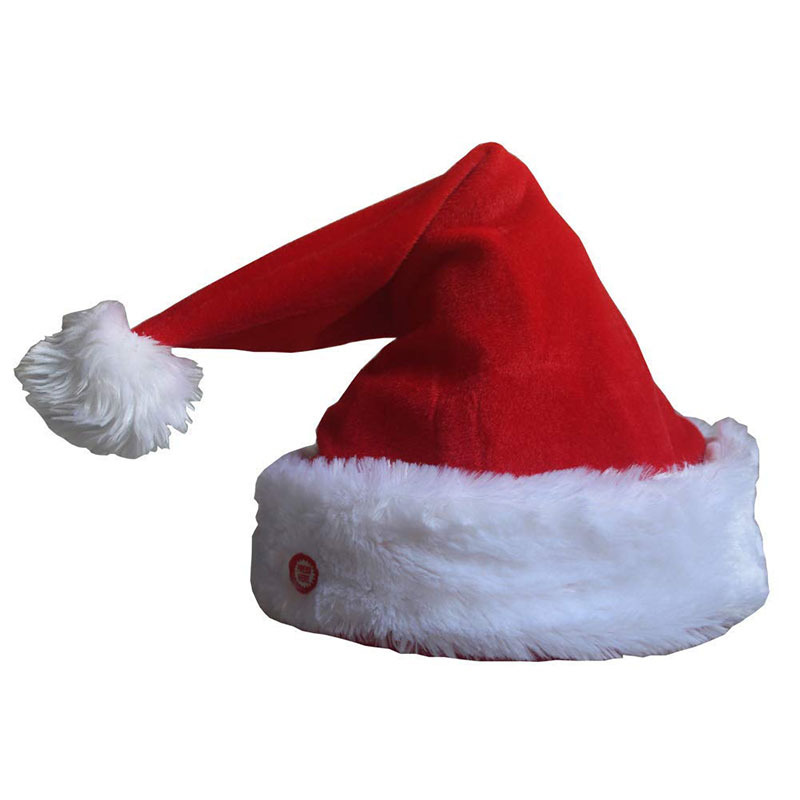 Made of soft plush material with PP cotton inside, it is washable and environmentally friendly. Power: 3 x AA Batteries(Not Include). Pattern: Solid red / Red snowflake / Green snowflake / Colorful / Snowman. 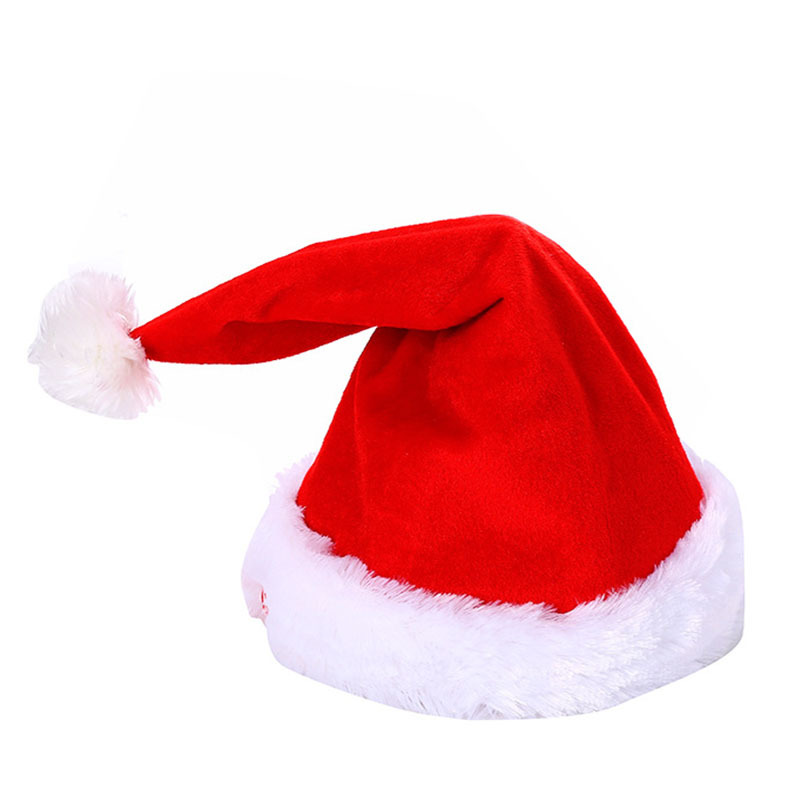 1 x Twerking Santa Electric Hat.